The Delaware Supreme Court has lifted a preliminary injunction halting Activision Blizzard's plan to buy 429 million shares of its stock. 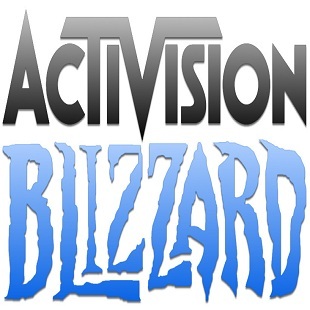 Activision Blizzard turned a few heads back in July when it was announced that it was going to spend 8.17 billion dollars to purchase 429 million shares from its parent company Vivendi and become an independent entity. Despite the deal initially seeming to go quite smoothly, it was eventually held up by some unfortunate lawsuits from unhappy shareholders who felt the buyout would "unjustly enrich" several of the company's top executives. That being the case, the Delaware Supreme Court has now ruled in the publisher's favor, lifting the preliminary injunction imposed by the Delaware Chancery Court and giving the company the go ahead to buy itself back. The deal, in turn, will be completed on October 15th, so long as no other unexpected road blocks emerge to stall it. With the buyout finally moving to closure, it will be interesting to see what develops from it in the future. Granted, this does look, for the most part, like it will primarily just be a case of shares changing hands. That said, it would be neat to see its new-found liberation inspire Activision Blizzard to invest in something new and outside of its norm. Whether or not that actually happens is something we'll have to wait and see. In the mean time, many gamers will probably just be content with the upcoming release of Call of Duty: Ghosts.